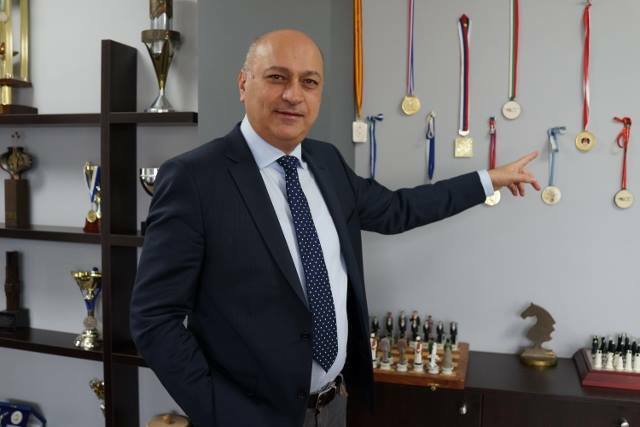 The President of ECU Zurab Azmaiparashvili will run for another term as head of the most important European chess organization. He was endorsed at a meeting of the board of the Georgian Chess Federation on January 31, 2018. The board meeting, which was led by the president of Georgian Chess Federation Giorgi Giorgadze, was attended by 15 out of 19 members. The board members who were present at unanimously chose the acting president of the European Chess Union, Zurab Azmaiparashvili, to be the European Chess Union presidential candidate. The European Chess Union presidential elections will be held in Batumi, in 2018 (September-October), at the same time as the 43rd Chess Olympiad. In March of 2018 the president of the European Chess Union Zurab Azmaiparashvili, as a presidential candidate, and his team will present an 2018-2022 action plan and a new program.